The St. Croix Valley offers a host of excellent dining experiences to couple with your visit to Festival Theatre. 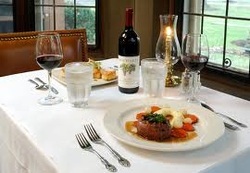 Dining options listed here cover a wide variety of cuisines and price ranges to fit any desire. All within minutes of Festival Theatre.